What is a uveal melanoma? A uveal melanoma (also known as an Intraocular melanoma) is a disease in which malignant (cancer) cells form in the tissues of the eye. Uveal melanomas begin in the middle of 3 layers of the wall of the eye. The outer layer includes the white sclera (the "white of the eye") and the clear cornea at the front of the eye. The inner layer has a lining of nerve tissue, called the retina, which senses light and sends images along the optic nerve to the brain. Iris: The iris is the coloured area at the front of the eye (the "eye colour"). It can be seen through the clear cornea. The pupil is in the centre of the iris and it changes size to let more or less light into the eye. Ciliary body: The ciliary body is a ring of tissue with muscle fibres that change the size of the pupil and the shape of the lens. It is found behind the iris. Changes in the shape of the lens help the eye focus. The ciliary body also makes the clear fluid that fills the space between the cornea and the iris. Choroid: The choroid is the layer of blood vessels that bring oxygen and nutrients to the eye. Most intraocular melanomas begin in the choroid. It is a rare cancer, but it is the most common eye cancer in adults. Age and sun exposure may increase the risk of developing intraocular melanoma. Anything that increases your risk of getting a disease is called a risk factor. Having a risk factor does not mean that you will get cancer, and not having risk factors doesn’t mean that you will not get cancer. People who think they may be at risk should discuss this with their doctor. Sunlight or artificial sunlight (such as from tanning beds) exposure over long periods of time. Having fair skin that freckles and burns easily, does not tan, or tans poorly. Blue or green or other light-coloured eyes. What are the symptoms of a uveal melanoma? How is a uveal melanoma diagnosed? Various tests are used to diagnose a uveal melanoma. 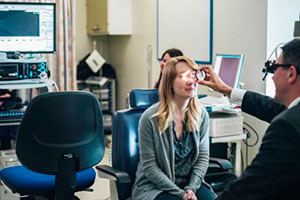 An examination of the eye in which the pupil is dilated (enlarged) with medicated eyedrops to allow the ophthalmologist to look through the lens and pupil to the retina. The inside of the eye, including the retina and the optic nerve, is examined using an instrument that produces a high-resolution image. The ophthalmologist may take pictures over time to keep track of changes in the size of a tumour and how fast it is growing. A procedure in which high-energy sound waves (ultrasound) are bounced off the internal tissues of the eye to make echoes. 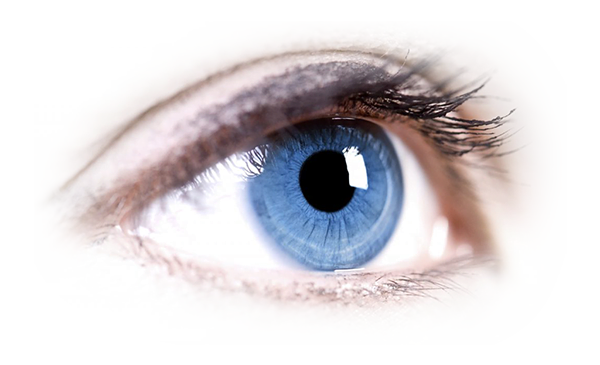 Eye drops are used to numb the eye and a small probe that sends and receives sound waves is placed gently on the surface of the eye. The echoes produce a sonogram of the inside of the eye. A procedure to look at blood vessels and the flow of blood inside the eye. An orange fluorescent dye (fluorescein) is injected into a blood vessel in the arm. As the dye travels through blood vessels of the eye, a special camera takes pictures of the retina and choroid to detect any blockage or leakage. The type of melanoma cells (how it appears under a microscope). The layer(s) of the eye the tumour involves. Whether metastasis (spread) of the tumour has occurred. The age and general health of the person. Whether the tumour has recurred (come back) after previous treatment. In patients with small tumours that have not spread, intraocular melanoma can be cured and vision can usually be saved. After intraocular melanoma has been diagnosed, tests are done to find out if cancer cells have spread within the eye or to other parts of the body. The process used to find out if cancer has spread within the eye or to other parts of the body is called staging. The information gathered from the staging process determines the stage of the disease. It is important to know the stage in order to plan treatment. Gonioscopy: An examination of the front part of the eye between the cornea and iris. A special instrument is used to check for blockages in the area where fluid drains out of the eye. Ultrasound biomicroscopy: A procedure that uses high-energy sound waves to measure small tumours. The number of details about the same as that of a low-power microscope. Tumours can be examined this way for shape, thickness, and signs that they have spread to nearby tissue. Liver function tests: A procedure in which a blood sample is checked to measure the amounts of certain substances released into the blood by the liver. A higher than normal amount of a substance can be a sign cancer has spread to the liver. CT scan (CAT scan): A procedure that makes a series of detailed pictures of areas inside the body, such as the liver or brain, taken from different angles. The pictures are made by a computer linked to an x-ray machine. A dye may be injected into a vein or swallowed to help the organs or tissues show up more clearly. This procedure is also called computed tomography, computerized tomography, or computerized axial tomography. Sometimes pictures of the tumour are taken over a period of time and compared to see if the tumour has grown. Small: The tumour is at least 5mm in diameter and 1-3 mm thick. Medium: The tumour is less than 16 mm in diameter and 2 -10 mm thick. Large: The tumour is at least 16 mm in diameter or more than 10 mm thick. Diffuse: The tumour is flat and grows widely across the uvea. Intraocular melanoma may spread to nearby tissues or to other parts of the body. If intraocular melanoma spreads to the optic nerve or nearby tissue of the eye socket, it is called extraocular extension. Intraocular melanoma may also be metastatic and spread to the liver, lung, or bone, or to areas under the skin. When cancer cells break away from the primary (original) tumour and travel through the lymph or blood to other places in the body, another (secondary) tumour may form. This process is called metastasis. The secondary (metastatic) tumour is the same type of cancer as the primary tumour. For example, if breast cancer spreads to the bones, the cancer cells in the bones are actually breast cancer cells. The disease is metastatic breast cancer, not bone cancer. What are the different treatment options for Uveal melanomas? Watchful waiting is closely monitoring a patient’s condition without giving any treatment until symptoms appear or change. A series of pictures is taken over time to keep track of changes in the size of a tumour and how fast it is growing. Radiation therapy is a cancer treatment that uses high-energy x-rays or other types of radiation to kill cancer cells or keep them from growing. There are two types of radiation therapy. External radiation therapy uses a machine outside the body to send radiation toward the cancer. Internal radiation therapy uses a radioactive substance sealed in needles, seeds, wires, or catheters that are placed directly into or near the cancer. The way the radiation therapy is given depends on the type and the stage of the cancer being treated. Localized plaque radiation therapy is a type of internal radiation therapy that may be used for tumours of the eye. Radioactive seeds are attached to a disk, called a plaque, and placed directly on the wall of the eye where the tumour is located. The side with the seeds faces the eyeball and delivers radiation to the eye. The plaque, which is often made of gold, helps protect nearby tissues from radiation damage. Charged-particle radiation therapy is a type of external radiation therapy. A special radiation therapy machine aims tiny, invisible particles, called protons or helium ions, at the cancer cells to kill them with little damage to nearby normal tissues. Charged-particle radiation therapy uses a different type of radiation than the x-ray type of radiation therapy. Gamma Knife radiosurgery may be used for some melanomas. This non-surgical treatment aims tightly focused gamma rays directly at the tumour so there is little damage to healthy tissue. Gamma Knife is a type of stereotactic radiosurgery. Laser photocoagulation is a procedure that uses laser light to destroy blood vessels that supply nutrients to the tumour, causing the tumour cells to die. Photocoagulation may be used to treat small tumours. This is also called light coagulation. A laser beam aimed through the dilated pupil or onto the outside of the eyeball. Infrared radiation (light that cannot be seen but can be felt as heat). Local tumour resection to remove the tumour and a small amount of healthy tissue around it. Enucleation to remove the eye and part of the optic nerve. This is done if a tumour is large and vision cannot be saved. The patient may be fitted for an artificial eye after enucleation. Exenteration to remove the eye and eyelid, and muscles, nerves, and fat in the eye socket. 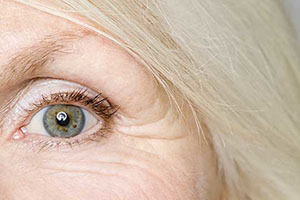 The patient may be fitted for an artificial eye or facial prosthesis after exenteration.